At the start of Bethan’s search, she came across the details for a house in Gloucestershire, but before she even had chance to view it, another buyer had their offer accepted. So the estate agent suggested another property, this time in Oxfordshire. ‘I arranged a viewing on the spot, and drove through beautiful countryside and scenery to a hamlet in the west of the county,’ says Bethan. The house was originally a cowman’s cottage and was once part of the country estate of Ditchley. Positioned in a row of several small properties, the Victorian cottage was in need of an update. Find out how it was transformed below, then browse more real home transformations. Check out our guide to renovating a house, too. Bethan’s offer was accepted and she moved in just one month later. She set about choosing new floorcoverings – coir and cork tiles downstairs, and carpet for a softer finish upstairs in the bedrooms – then decorating the house using understated, muted tones. A new bathroom introduces a modern touch upstairs. ‘Again, I have used a white palette to make the room feel larger,’ says Bethan. ‘I like using large-format tiles in a small room and I find that experimenting with scale creates a more interesting scheme’. 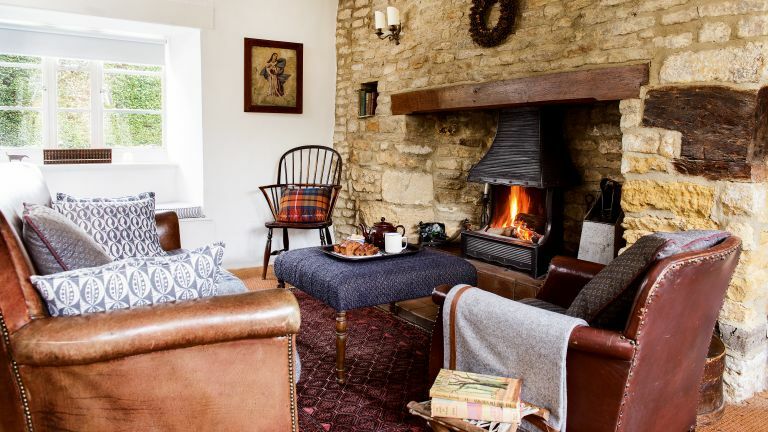 With a keen eye for detail and the fervent desire to make her house a home, Bethan has evolved the cottage’s décor over the years to reflect her taste and changing lifestyle.